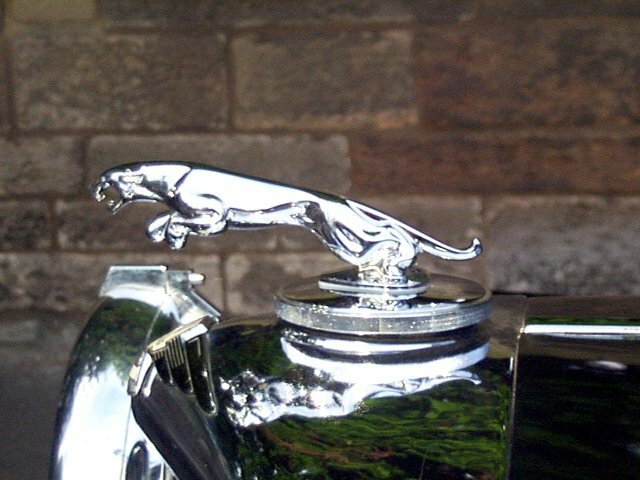 The mascot was designed by F. Gordon Crosby for the first SS Jaguars in response to William Lyons' adverse reaction to some of the "scolded cat" accessories available at that time. 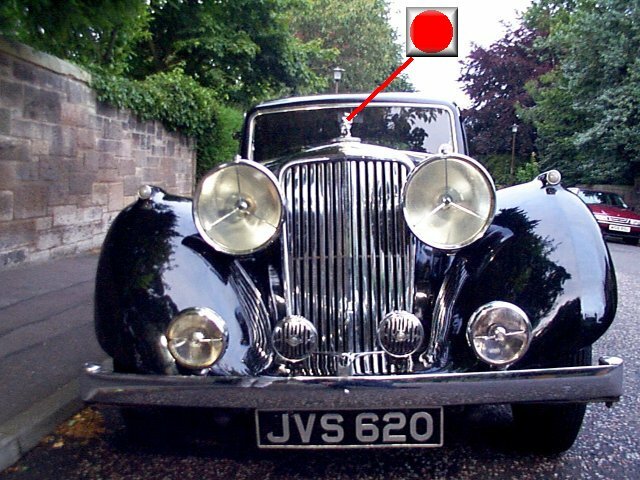 The familiar Jaguar was not offered as standard until the 1950's but was retailed in the 1930's for two guineas. The SS Jaguar mascot can be differentiated from later models by its heart shaped base.